Known for its abundance of wineries (more than 40 at last count), Swan Valley is also a vibrant cultural hub with fine art, beautiful scenery, and a rich history. Just 25 minutes from Perth’s city centre and 10 minutes from the airport, it’s conveniently located, but still has an old-world charm that makes you feel like you’re on a retreat. In 2017, the Western Australian Minister for Tourism announced that they have plans to increase tourism drastically in the next few years. The result will be hundreds of thousands of visitors each year spending hundreds of millions of dollars in the community. If you’re looking for a secure investment, then Swan Valley is the perfect place to build. With an increase in tourism and dollars, often comes a corresponding rise in property values. Plus, it also helps that Swan Valley is one of the most picturesque places in Western Australia. It’s easy to focus on the wineries here in Swan Valley. You could spend weeks touring each facility and soaking in the fascinating history, as well as multiple glasses of wine! But Swan Valley is much more than just “wine country.” The area is a dream destination for nature lovers with walking trails that are unrivaled anywhere else in the region. There are also historical buildings to explore and a variety of restaurants to sample. Enjoy weekends with a boat cruise. Soak up the sun’s rays and set sail on Swan River. Or try a game of Supa Golf, a variation of the traditional game that has only nine holes and larger clubs and balls. If you’re an adventurous spirit at heart, you’ll love this game! There is also a wildlife park with kangaroos and other animal species native to the area. Come face to face and even pet koalas, wombats, and possums. It’s a fun-filled activity for the whole family! Another form of wildlife to visit is at the Windarrah Honey farm, a family-owned business with some of the best honey around. Swan Valley is also ideal for families. It’s safe, clean, and has a top-notch school system. There’s also plenty of open space for kids to be kids. Swan Valley is also known for having some of the best playgrounds in the state. The top-rated playgrounds and parks are akin to wonderlands that as adults, we only dreamed about when we were kids. For example, Aviary Creek park has a water wheel, twisting tunnel slides, and an adult-friendly area where friends can get together for a friendly game of bocce. From ice cream shops to chocolate factories, you’ll have fun exploring every inch of the tasty treats that Swan Valley has to offer. Time seems to slow down in Swan Valley. No one’s in a hurry to leave, and there’s no need to run on a strict schedule. 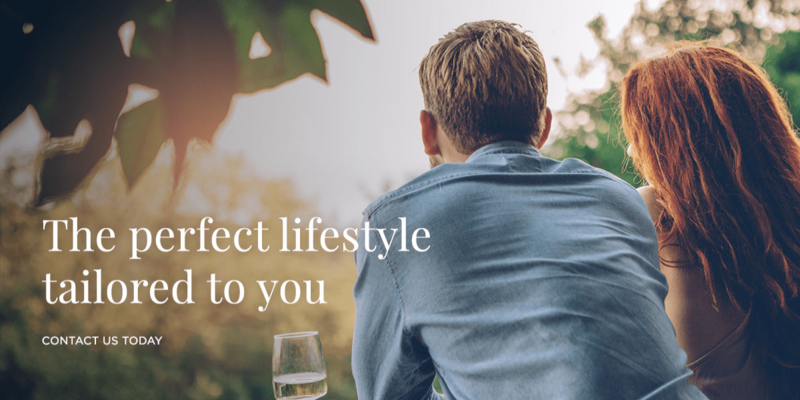 The slower pace of life is easy to adjust to, and new residents love that they can take a deep breath, relax, and connect with friends. One of the miracles of Swann Valley is that it’s in the heart of the wine region, yet the beach is just minutes away. It truly is paradise. The vibe of Swan Valley is like a giant community gathering with plenty of outdoor concerts, summer markets, masterclasses, festivals and long table feasts that are fun for the whole family. There’s plenty of shopping to do, including getting your retail fix at Guildford’s historic strip. Some of the top destinations in Swan Valley include the Margaret River Chocolate Co., Yahava Koffeeworks, Sandalford Wines, and Duckstein Brewery. Over the years, Swan Valley has become a place where the finest artisans in their fields have decided to settle. Swan Valley is home to renowned chefs, specialty ice cream makers, leading vintners, and expert brewers. There’s a rich cultural tapestry that blends Mediterranean with Indigenous. Some of the early settlers in this region include inhabitants of Italy, Yugoslavia, and England. They were some of the original producers of wine and often continue their familial traditions of winemaking. There are many time-honoured traditions in the area, and newcomers continue to shape and evolve the cultural landscape. Newcomers quickly settle into this idyllic lifestyle, and once they’re here, they often say they can’t imagine living anywhere else. One of the best things about living in Swan Valley is how close it is to Perth CBD and the airport, but you also get the distinct feeling that you’re away from it all. It’s like living the best of both worlds. We’ve talked a lot about the slow-paced life, and beautiful scenery, but we can’t forget to mention the world-class produce. The tropical climate allows for a diverse offering of fruits and vegetables that are mouthwatering and delectable. One of our favourite weekend retreats is an escape to Mandoon estate. This stylish retreat features fine dining, wine tasting, tours of the area, and a behind the scenes look at the kitchen and historical elements. Each room also features a stunning view of the Swan River, which you can enjoy from a spacious balcony. As you look around at your beautiful surroundings, it can be difficult to remember that you are so close to the city. Swan Valley has all the amenities of urban life, but without the pollution, congestion, and crime. Living here truly is like being on holiday every single day! Taylor Private Estate is proud to have one of the closest planned residential communities to the Perth CBD. Our development will have more than 600 home-sites, so you’ll be able to choose a piece of land that is your piece of paradise. There’s something for everyone, whether you want a New York-style brownstone, a more spacious lot, or a custom home. Taylor Private Estate is leading the way in the affordable luxury movement. This land won’t last, so get in touch with our sales office today.